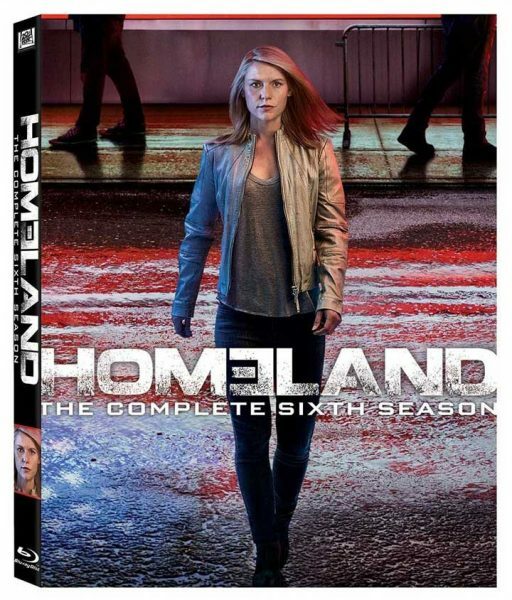 5-time Golden Globe-winning television series Homeland begins its seventh season next month, and what better way to get psyched than to watch the entire sixth season on Blu-ray or DVD? All twelve episodes of Season 6 will released to a three-disc Blu-ray edition ($34.99) and four-disc DVD edition ($27.99) from 20th Century Fox on February 6, 2018. On Blu-ray, Homeland is formatted in 1080p video resolution at 1.78:1 aspect ratio. English audio is provided in DTS-HD Master Audio 5.1, as well as Japanese, Spanish, and Italian languages in DTS 5.1 channel surround sound. The Blu-ray and DVD editions of Homeland seasons typically include several featurettes, but we don’t have confirmation yet of bonus material. Homeland was created by Alex Gansa and Howard Gordon, and is slated for an eighth season premiering in 2019. The show stars Claire Danes, Mandy Patinkin, and Damian Lewis.